Clatsop Community College and the Fort George Brewery are pleased to announce the February event for the 2018-19 Thursday night Ales & Ideas series. On Thursday, February 7th, CCC is pleased to welcome Portland Educator and Activist Alexis James leading a conversation project about White Allyship in Close-Knit Communities. Doors open with food and beverage service at 6pm. Seasonal beers on tap, food and other beverages are available for purchase, but no purchase is required. Minors are welcome. Participants should come prepared to learn and discuss this important topic with neighbors. The Fort George Lovell Showroom is located at 14th and Duane St. in Astoria. Alexis James is a long time educator and activist. 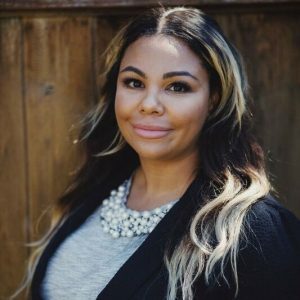 Her current activism is focused on early childhood literacy and advancing social justice across the state of Oregon through her role as director of program operations and personnel at SMART (Start Making a Reader Today). Being a native Oregonian has created an enduring and unconditional love for the state and a desire to see Oregon manifest its social justice hopes and dreams. James’s program is made possible by funding from Oregon Humanities, which connects Oregonians to ideas that change lives and transform communities. More information about Oregon Humanities’ programs and publications, which include the Conversation Project, Think & Drink, Humanity in Perspective, Public Program Grants, Responsive Program Grants, and Oregon Humanities magazine, can be found at www.oregonhumanities.org. Oregon Humanities is an independent, nonprofit affiliate of the National Endowment for the Humanities and a partner of the Oregon Cultural Trust.